There are two kinds of football fans. The first ones are simply content with watching the game on their computer or television screens. The second type of football fans cannot stay away from fantasy football websites. 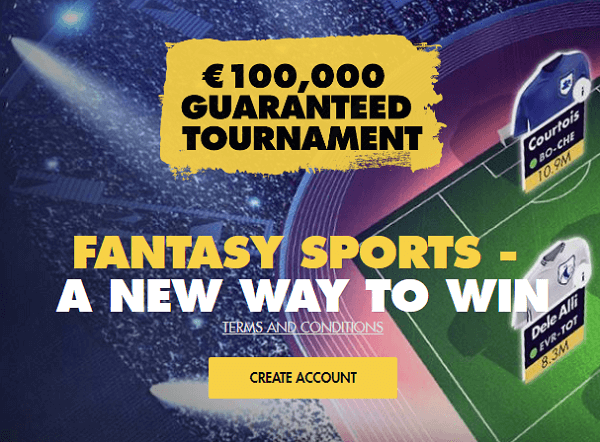 To satisfy the bottomless appetite of the second category of football fans, we introduce the Telegraph Fantasy Football contests. Telegraph is a news provider that has been around for a very long time. This news provider is very closely associated with football. As a matter of fact, when you want to dig up some reliable information on football or footballers, you are recommended to give Telegraph a try. Thus, it come as little surprise that Telegraph has one of the finest football fantasy systems in the world that is currently being played by thousands of people in the United Kingdom. The satisfaction level of the people who participate in Telegraph Fantasy Football is sky high. However, that may not be enough information to get you onboard. Perhaps you are the kind of fantasy football player who hates lagging behind and needs to stay at the top of the tables at the end of every single week. If that is the case, then boy do we have some amazing tips on offer for you! 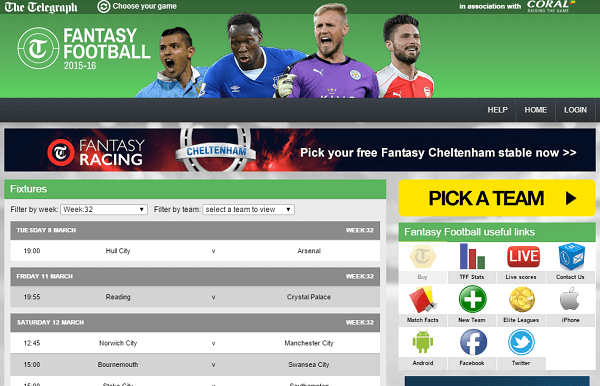 Telegraph Fantasy Football might sound like child’s play, but trust us, it is anything but that. Of course, if fantasy football is nothing more than a secondary hobby or a simple pass time for you, then Telegraph Fantasy Football should not pose much of a challenge. It is very easy to register yourself as user and build a team. However, it is what you do with the team that will dictate how exhausting your experience in the Telegraphy Fantasy Football will turn out to be. The reason why the word “exhausting” has been used here is because creating a dream team and using it to compete with the very best fantasy football players in the United Kingdom is not an easy thing to do by any stretch of the imagination. You need to spend a considerable amount of your time in the day analyzing the performances of players and teams in order to come up with a winning combination for your imaginary Telegraph Fantasy Football team. You need to be one step ahead of the competition if you want to bring home the grand prizes and make your experience a lot more enjoyable. After all, a little bit monetary incentive makes everything so much more interesting. There is no single formula to attaining success in Telegraph Fantasy Football. It is not like an online video game where you are able to crack the code and come out victorious every single time. The game of fantasy football requires you to put your intelligence, instincts, estimations and knowledge to the test. If you pass the test with flying colours, you have more than a decent chance of actually coming out on top and dominating the rest of the players competing with you. In order to pass that test, you need to make use of a combination of methods. If you are not aware of what those methods are, now is the perfect opportunity for you to learn. Demonstrating the methods to acquiring success can be best done by providing real life examples. 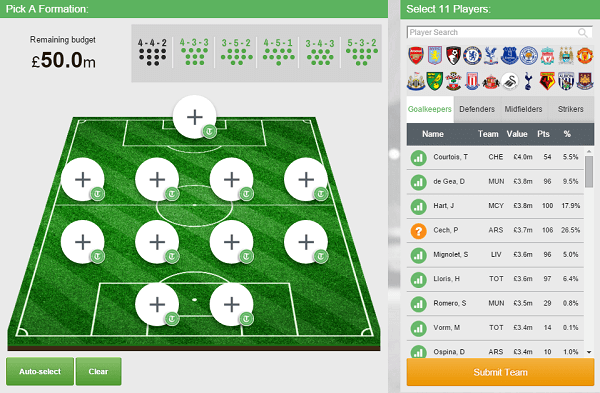 The following is a list of player positions, each with a description that names two or more players who are an ideal addition to any fantasy football team in Telegraph Fantasy Football. Consider these descriptions as handy tips that will drastically improve your score in Telegraph Fantasy Football and give you a much better chance of bagging the cash prizes that you had always wanted. It is preferable to buy a goalkeeper that has a value which is pretty much on the expensive side. Unlike strikers, high rated and renowned goalkeepers hardly ever let you down. In other words, popular goalkeepers such as the likes of Hugo Lloris, David De Gea and Petr Cech bring a lot of value to the team. If you do not have sufficient “funds” to afford a highly valued goalkeeper in your Telegraph Fantasy Football team, then simply go for the underrated goalkeepers such as Gomes and Butland who are likely to earn you points through their important saves rather than through cleansheets. Defending has changed a lot nowadays. Back in the old days, a proper defender would hardly ever cross the halfway line. Today, good defenders are defined as those who can march forward to add more firepower to the attack and score the occasional goal from set pieces. With that in mind, it is wise to opt for players such as Bellerin, who by the way has been an absolute beast in the Barclays Premier League this season. It is also a good decision to get sturdy defenders such as Kurt Zouma. Even though Chelsea have been poor throughout the season, they are likely to tighten up their defence in the upcoming fixtures to milk out results. When you are looking for midfielders for your Telegraphy Fantasy Dream team, the only thing on your mind should be involvement. Look for midfielders who are constantly involved in the build up play. It also helps to bring midfielders into the team who have a knack for scoring goals. That being said, goal scoring midfielders can be quite expensive and are not always consistent. Barkley, Ericsen and Mahrez are the ones to stick with for the upcoming weeks. Goals, goals and goals. Look for forwards who score regularly and have a habit of placing the ball into the net on big matches. Since Telegraph Fantasy Football offers you two forwards in the team, it is wise to have one high profile player such as Harry Kane and another underrated talent such as Romelu Lukaku or Ighalo in the side. Underrated young players can have a wonderful start to the season, so keep these players in your team until December at least.